We offer an extensive counseling class twice a week (Tuesdays in Tamil and Thursdays in English) for all patients inducted in the ART programme. Books containing relevant information about normal anatomy and reproduction along with IUI and ART procedures are given to all our new patients upon registration at GG Hospital. This multimedia presentation is an interactive session where queries are answered to alleviate any doubts regarding the procedures. 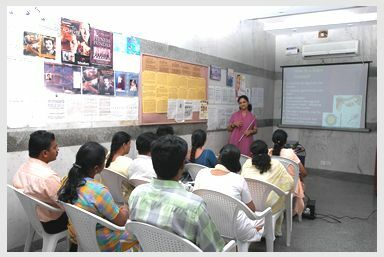 Doctors proficient in English, Hindi, Kannada, Malayalam and Telugu are available for explanations.